Our Partners | Ninos con Valor, Inc. In addition to the many individuals who help us out financially and with their prayers on a regular basis, these are specific groups that are an important part of our family, and have helped us out in the past year, whether financially, by sending a team, or in other ways. Please note, the supporters listed below are supporters of the US charity only. This page is continually being updated, and only displays our major supporters from the past year. We are not including grant makers in this list, as per their request. Also, we may have missed someone – so please don’t get mad, just let us know! This is a new partnership that is developing as of 2014, and which we are very excited about. ACHF “provides orphaned and abandoned children in developing countries a healthy, caring environment while seeking a loving family for them” through sending volunteers and service teams, as well as providing financial support. The staff and kids of Bethel have been supporting Niños con Valor through child sponsorship, and we are working on creating fun exchange opportunities between our children and theirs. 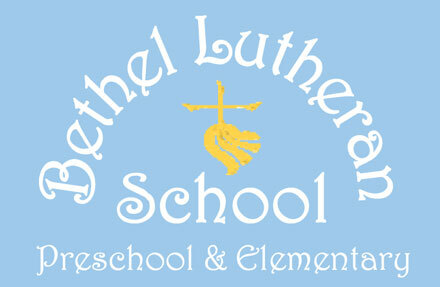 Thanks so much students of Bethel Lutheran! We work closely with the Canadian partner of Fundación Niños con Valor, to coordinate child sponsorships, fundraising activities, and form a unified strategic plan to ensure sustainable growth of our supported programs in Bolivia. “The Bolivian Task Force” of Christ the Redeemer has been one of our major supporters since we started back in 2005. It was through this group of dedicated individuals that we were able to set up our 501(c)(3). They support us in both prayer and financially – thank you so much! BelPres has sent down several teams, with 44 members of their church having traveled to Bolivia! We are so excited to see how this partnership has grown, and to have one of their members as our US Board Chair. Thanks! Our relationship with First Pres Coeur D’Alene began with a volunteer doctor who helped us establish healthcare practices in Pedacito de Cielo, and has grown to involve mission support, and later this year – a vision trip! We are so excited that we are able to partner with them, and hope we will be able to grow our relationship with their daycare in the future. From our very first weeks running Corazón del Pastor, Holy Cross has been an supporter both in encouragement and in funding. They have send several teams down to serve in varying capacities as well. Thank you very much for your commitment to our kids! Swedish for “neighbors”, this Swedish organization was the original foundation of our girls’ home, Corazón del Pastor. Since we took over its adminstration, we have continued to be blessed by their support, much which comes from their child sponsors. Thanks! Having visited us now a couple times, we are so thankful for their prayer support, and the financial support they have sent to help us out with Street Light. Thanks so much for believing in our work! The kids and community of Northern Light have been so supportive of us over the years, through sponsorship and prayers. We are so grateful for their generous spirits, and look forward to growing together as we both seek to serve children and build better futures for them. This is a new relationship that is just in its infancy. We were blessed with a visiting team from Restoration in 2014, and our International Director was able to visit and connect with several parishioners on his recent US trip. We are so grateful for their generous hearts, and interest in supporting our children and the church they attend. Our partnership with Trinity began when Kim Gradberg joined us for a couple years as a volunteer in Pedacito de Cielo, and grew last year through mission support for our homes, including the funding of a year-end spiritual retreat. We are so excited to be ministering together!